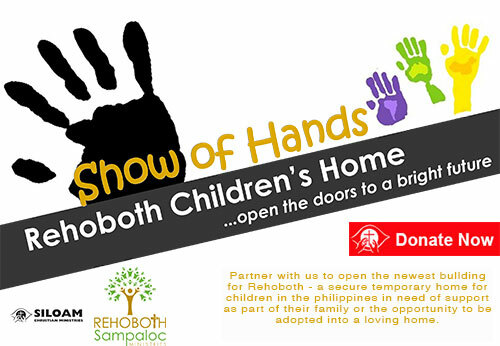 Help us to open the doors to Rehoboth’s newest building in the Philippines - a home custom made for the care of babies who are berween a few hours and 2 year olds. Rehoboth turns away 4-5 children a month because our current buildings are full. We’re known for providing a secure, caring, fun environment with staff who ensure kids are placed in stable, loving families as soon as possible - ending the limbo of displacement and the beginning of a bright future. Please fill in the form below to show your support for the opening our new building. Help us to reach our monthly goal of $4000 (that's £2500) in pledges of support for the year. As soon as we reach our goal, we can open our doors and ensure we have the qualified staff and all we need for the day to day care of these little ones - with the security of your ongoing support.